This entry was posted on January 29, 2013. Bookmark the permalink. In my practice, I see many parents who, out of love for their children, want to provide everything for them. What parents sometimes forget, however, is that learning to deal with failure, disappointment, loss and frustration are valuable life lessons that will serve their children well during their lives. By protecting our children from these events, we are depriving them of critical experiences that will strengthen them in the long run. Who hasn’t performed poorly on a test? Or lost a big game? Or been excluded from a party? While we don’t look back on these disappointments as high points in our lives, they did help to prepare us for other life experiences: unemployment, financial struggles, divorce, loss. We cannot protect our children from the inevitabilities of life, but we can teach them how to approach these challenges with strength, perspective and optimism. This is what makes our children resilient. 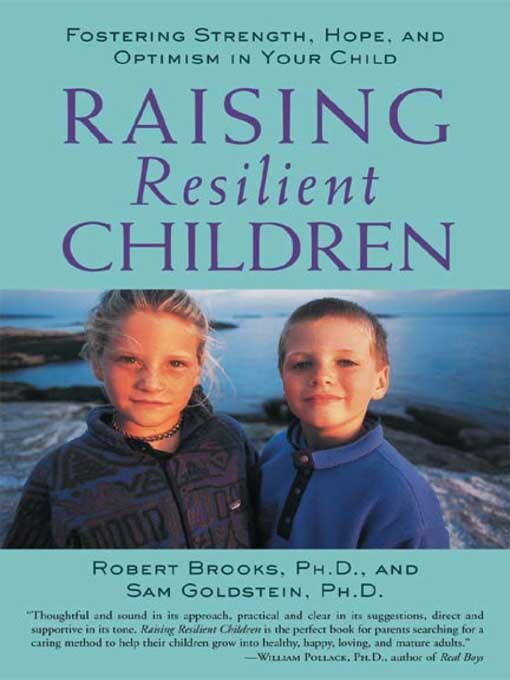 While there are many books that address this topic, one of my favorites is Raising Resilient Children by Robert Brooks, PhD, and Sam Goldstein, PhD. It explains the need for resilience and how to instill this quality in your children. While it is difficult and sometimes painful to watch our children fail, it is a necessary part of their growth and development. Through this experience, they will gain confidence knowing that they can face adversity, persevere and ultimately overcome it.